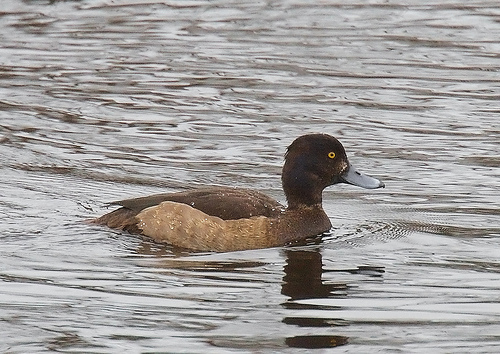 The Tufted Duck has a dark brown back. The Greater Scaup has a grey back. 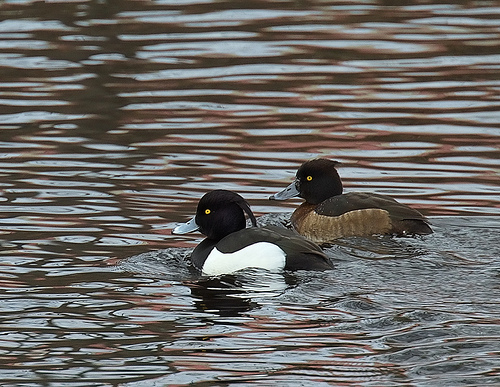 The Tufted Duck is brown, the Goldeneye is greyish. The Pochard is light-grey, the Tufted Duck is dark-brown.